A shoemaker one day gets a little too drunk and begins boasting of his athletic abilities. He claims he can run some forty miles and so is taken up on the offer by two men who follow him in a wagon. Several miles in, the man appears to trip over something and fall but his body never lands. The two search for him but never find him. They are put on trial but considered of good character and found innocent. A real short story without much gusto at all. It feels more like a set up for a joke than an actual plot for a short story. 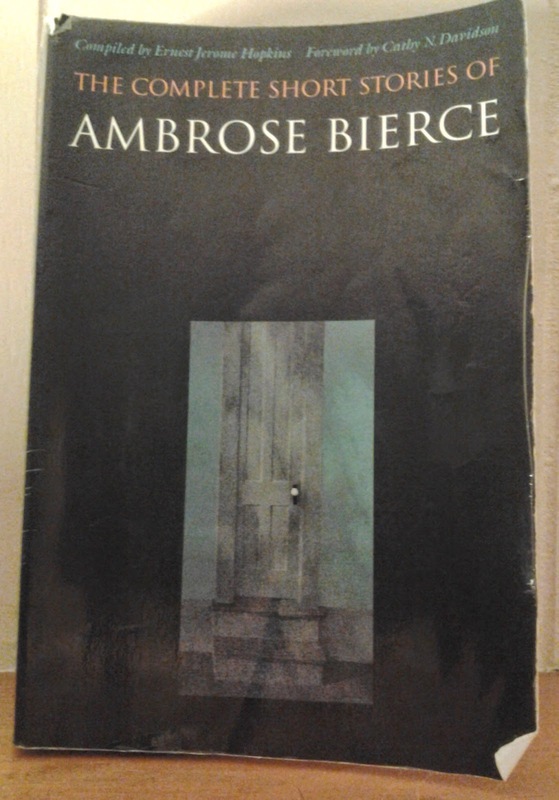 So many of Bierce's bizarre stories have not meat to them in terms of the supernatural and its purpose within the tale. That makes me wonder if indeed these were collected tales from different people he met and shared campfire tales with.